Moving into a new home recently felt like the perfect chance to upgrade with some of the myriad home automation systems and devices adding convenience, safety monitoring, energy efficiency and fun into our everyday lives. In the process of geeking out my house with cool gadgets and apps, I learned you don't have to be a tech wizard to make your home run more smoothly. Your smartphone is all you need to control your thermostats, lights, home entertainment system, appliances, cameras, door locks and more. A connected home means different things to different people, says Nate Williams of Greenwave Systems, but the ultimate benefit is a home that caters to your family’s needs. "Some consumers want to monitor their home energy usage from work or check that their children came home from school safely, while others want to have the ability to consume personalized media from every device in their home,” he says. “As consumer confidence grows, we expect they will adopt more smart and connected things into their lives." Just like the now-ubiquitous keyless car door lock, keyless convenience is now available for your home. A recent report from research and consulting firm NextMarket shows the smart lock market alone is expected to grow to a $3.6 billion market worldwide by 2019. The Kwikset Kevo, powered by UniKey, eliminates fumbling for your keys when you have groceries or a baby in your arms; instead, unlock your deadbolt with a simple touch. The Kevo doesn't connect to your home Internet or Wi-Fi, relying on a Bluetooth 4.0 connection to allow the lock to sense if your phone is nearby. Just tap the lock with your finger, and the door will unlock or lock, depending if you are coming or going. The free Kevo app tells you when your children, service vendors, friends or neighbors enter or leave your home. Email visitors a downloadable electronic key to enter your home. These eKeys let you limit entry to certain days or times — great for dog walkers or babysitters. Delete an eKey once a guest leaves or if it's no longer needed. The system comes with two eKeys; additional keys are 99 cents each. At first, I balked at having to pay for more keys, but it would cost more than that to make copies of my traditional keys to give to guests. What if someone without a smartphone is visiting or needs access? The system comes with a traditional key as well as a key fob (with additional fobs available for purchase) that you can pin to a child's backpack to offer the same touch-to-open technology. What if you lose your phone? You can block access from that device using the Kevo app, then reconfigure the lock all over again. Worried about hackers? Kevo provides multiple levels of advanced security and is continually reviewed by industry-leading, independent security experts. Personally, I'd worry about someone breaking a window to gain access before I’d worry about an e-lock hacker. 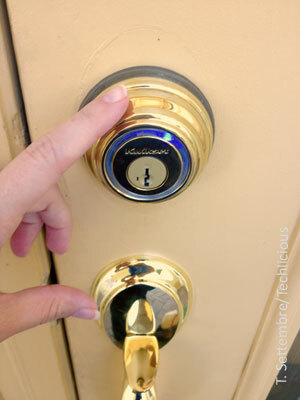 As for installation, just replace your standard deadbolt with the Kevo using a single Phillips head screwdriver and about five minutes of DIY time. Best of all, it looks really cool on our door. The system is powered by four AA batteries. Right now, the Kevo is supported by the iPhone 4S and later models, as well as the iPad mini, iPad Air, iPad2 and later. Kevo has just launched an invitation-only beta program for Android Lollipop users on the Nexus 6 and other Android L devices. 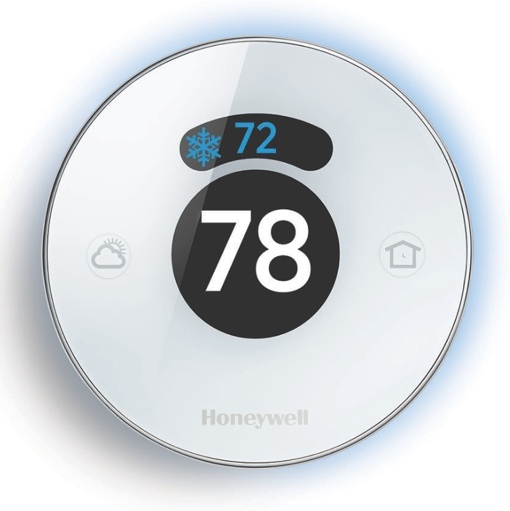 The Honeywell Lyric smart thermostat allows you to control your thermostat from your smartphone anywhere you are. You can also program the thermostat to adjust automatically based on local weather conditions, even taking the humidity into account. During a recent trip to Beaches Turks & Caicos, I remembered on day two that I had been so busy packing that I had forgotten to turn off the air conditioner. Instead of accepting the waste of energy and additional cost on my electricity bill, I used my Lyric app to raise the temperature on the thermostat. I didn't even have international phone service; once I was connected to the hotel Wi-Fi, I was able to control my device from across the ocean. Later during my return flight, I adjusted the temperature once again to be nice and cool when we arrived back home. You can even personalize the Lyric to set temperatures for recurring events such as workouts. I especially like being able to raise or lower the heat with my phone while staying warm in my bed at night. Enable geofencing to allow the Lyric thermostat to automatically adjust based on your smartphone's location. Tap the Away button on your thermostat to set the temperature back while you're gone. The Lyric thermostat monitors your heating and cooling systems to ensure you won't get any unwanted surprises like winter furnace failures, extreme temperatures or other system irregularities. It sends alerts directly to your connected smartphone and also provides monthly performance reports. Aesthetically, the Lyric’s design is cutting-edge, with a sleek, round design and touchscreen interface with illumination. Do all these features really add up to energy efficiency and savings? Honeywell estimates that in the United States, the Lyric thermostat could save homeowners up to $220 per year. After years of carrying a wireless speaker from room to room so you could listen to music on your iPhone, you can relax and enjoy bigger, better solutions such as the Korus. Because the Korus doesn't rely on a Wi-Fi network, it’s portable and works as well in the backyard or park as in your living room. A new premium wireless music standard called SKAA provides a stronger signal than Bluetooth, capable of streaming to up to four Korus speakers simultaneously using the free app as a controller. Unlike Bluetooth speakers, you don't have to pair your device to the speaker. Simply plug in a "baton," a wireless transmitter chip you plug in to your mobile device. The baton includes 30-pin and Lightning connectors for iPhone, iPad and iPod touch devices and a micro-USB connection for Android devices. During a recent conference I attended, participants eagerly passed around a baton to control the music during the event using songs from their own phones’ music libraries—a different guest DJ every 15 minutes. The Korus V600 speaker uses an AC power connection, making it perfect inside your home where you don't need to worry about charging it. The company also offers a truly wireless speaker, the new Korus M20 ($199.99). This mini-tower weighs less than two pounds and has a battery life of up to 17 hours, rechargable via USB cable. 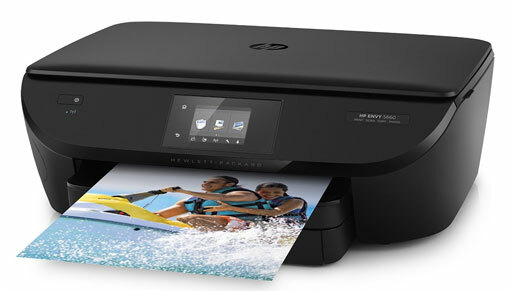 I also upgraded to a wireless HP Envy 5660 e-All-in-One Printer, which offers on-the-go printing from your computer, smartphone or tablet (iPhone, iPad, Android devices, Amazon Kindle Fire and more) at home or on the go. This printer is compact, stylish, wireless and easy to set up. Seriously, I've never owned a printer that was easier to install. I simply went to the designated URL from my iPhone and was able to connect immediately. I then started printing documents right from the Dropbox app and photos from my phone's camera album. "My HP wireless printer has been a great new solution to me as a mom,” says Maria Bailey, CEO of BSM Media. “I'm able to send schoolwork to my children even when I am at 30,000 feet flying to a business meeting. My family uses the wireless feature as well. My kids will send articles to our home printer while they are at school and then pick them up when they get home. It's so convenient and easy to use; we love it." A feature called HP Printables delivers news, coloring pages and savings directly to your printer based on your settings and service sign-ups.